Add beauty and elegance to your yard! 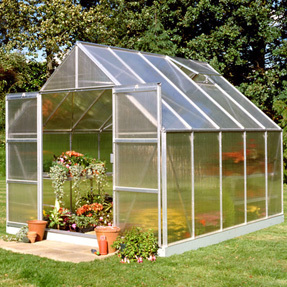 The Junior Victorian extends your growing season while combining Old World Style with modern European engineering and craftsmanship. 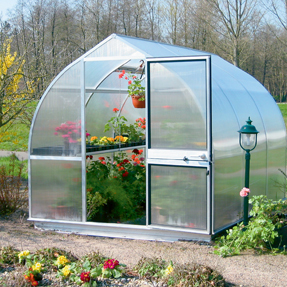 The elegant black aluminum framework, tempered glass panels; 5' side walls and 8'2" peak height combine to give you a beautiful greenhouse while providing you with 79 sq ft of comfortable interior workspace. 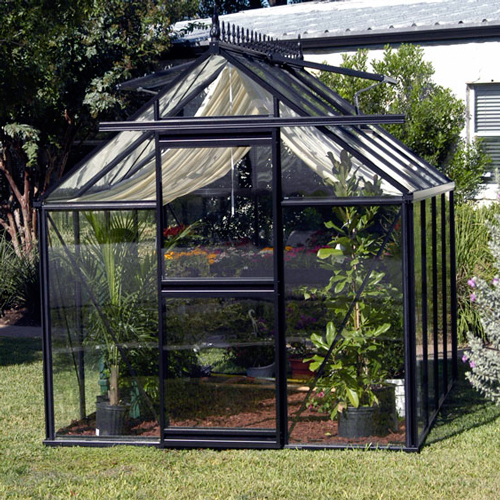 In temperate climates, over-winter special or valuable plants, start seedlings or create a tropical jungle.